cPanel announced earlier this year that they are no longer supporting PHP 4. 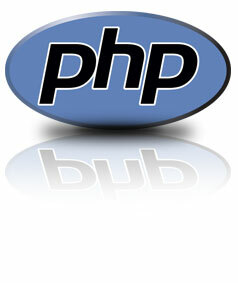 PHP 4 has not been actively developed, or supported by the PHP developers, for several years. The system that manages and maintains the Web server no longer has support for PHP 4 and therefore the next cPanel upgrade would automatically remove PHP 4 support from the server. For many this won't affect your services nor your website but for those few that are still running old versions of WordPress, Joomla, Drupal, etc., or those running custom PHP 4 scripts, it is definately a must to not only upgrade to the latest version of PHP for your server but to also make sure your site installation is up to date. If upgrading your websites/scripts is not an option, please let us know so we can transfer your accounts to our Windows server which still has support for PHP 4 but even with this, you still risk the chance of your websites/scripts not running in the future when Plesk decides to also not support PHP 4.